Nut Wafer of flax meal - great idea for breakfast! C as long as in my kitchen appeared elektrovafelnitsa, the rest I do not! Almost every day I struggle with the temptation to bake useful waffles for breakfast. Dada, you heard right - really helpful (in fact, diet! ): It composed of no sugar, no oil, no "fast" carbohydrates. Nut Wafer of flax meal - my new favorite, what you need for breakfast, snacks, and just for tea, if you are on a diet, and snacks like. Just want to reveal to you a little secret: "nutty" I called wafers also because a part of, inter alia, have a bit of soy flour, is it increases in baking nutty flavor shade (do not worry, no pea flavor it does not, it is deodorized, I I wrote about this in the recipe "Mini cakes of soya flour"). But this I did not stop and went even further: from flax flour waffles I supplemented these nuts (some ground almonds) - came out very tasty and unusual! In general, it is a great idea for a great start to the day. Complete useful wafers of flax flour, or a conventional soft cheese, or poached eggAnd a delicious hearty breakfast is provided to you. You will be dreaming to repeat it again and again! Note nut waffles from flax meal I do without sugar (a little Salts) and fed exactly as described above. Optionally, you can add a little sugar / stevia. More ideas for a healthy breakfast, you can learn here. *Instead, flax meal, you can use a dry linen mess, practically no difference, the taste is not affected. **Note: Waffle often I use extruded bran brand "Healthy Eating" with Jerusalem artichoke / apple / sea buckthorn, which give a natural sweet taste, and grinds them to a state of flour using a blender. Almonds are best taken raw (unroasted). Grind it with a blender or coffee grinder (not in powder, but shallow enough as allow your device). Mix all the dry ingredients, including ground nuts. Add the egg, milk and mix well with a spatula. The dough will turn out very thick (with a spoon does not fall down! ), Tight. It is advisable to give it a "rest» 20-30 minutes and only then oven. Elektrovafelnitsu, heat to the desired temperature, according to the instructions. If necessary, lubricate its surface with oil. Again, do not dilute the dough, it should be thick enough so as not to fall down from the spoons. You can put in a waffle iron according 1-2 tablespoons (helping shovel), and press down the lid tightly. 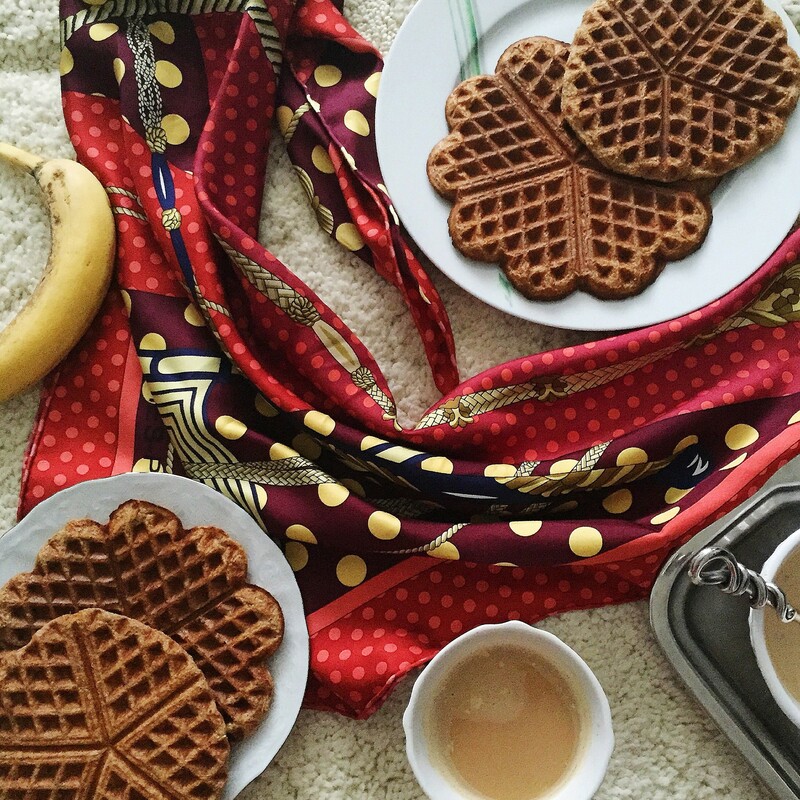 Bake the waffles from flax meal 2-3 minutes.